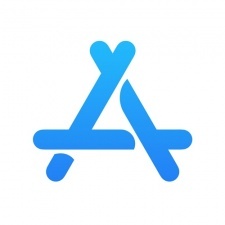 The App Store recently celebrated its 10 year-anniversary. It’s undeniable that Apple’s apps marketplace has had a significant impact on the games industry at large. While mobile gaming had existed for a while before, it was the app store and its subsequent imitators that really kicked into hyperdrive what would become a $70 billion-plus industry. And it’s still growing at a rapid rate. It’s also spurred on the adoption of the free-to-play model, encouraged a live operations approach to keep the top titles going for years, and made gaming more accessible to the mass market. We recently wrote a piece on 10 ways the App Store changed the games industry. What has been the impact of the App Store on the games industry? What do you think the future holds for the App Store and how should Apple develop the marketplace over the next 10 years? 1) It worked as the catalyst for the mobile games industry to grow where it is today; the number one portion of the games industry as measured by audience size and revenues. 2) The App Store initially disrupted the established status quo of the mobile games ecosystem. Change is a constant, so either the App Store continues to evolve and disrupt, or it will be disrupted. Hoping for the former, but the next decade will only tell. The App Store changed everything. It made the business revolve around the game, rather than distribution arrangements. You would spend a significant amount of time/resource trying to woo content managers and distribution partners in order to get your game on their decks, and you’d spend even more trying to get good placement. You’d be juggling a million different agreements, billing systems and even business models. Some would even go as far as spending everything on distribution and slap a license on something that was quick to develop. While there’s obviously always a great deal of that in the industry still, the App Store made it possible for developers to shift almost their entire focus over to the product and apply their skills to that. Sure, it required new skills in user acquisition and retention, but it did put the developer in control! Free-to-play was driven primarily by the App Store as well. In-app purchasing did exist before, but the App Store put it in the hands of every developer, allowing for experimentation and ultimately those very healthy businesses based on F2P that are thriving today. I remember being annoyed with all the “Apple talk” at a developer conference a few months prior to the iPhone release, because Apple did not at all fit into the mobile game business ecosystem at the time. I certainly didn’t expect it to change everything, but I think the business as a whole is a lot better off with what Apple and the App Store have turned it in to. 1. Outside the mobile games industry, I see persistent parallel use of phrases like "customer acquisition, customer engagement, customer retention, LTV". I attended the Decoded Futures event last month – the fashion industry's digital tech / mobile event. All of the tech-savvy fashion companies spoke comfortably in the language of games companies. The same is true in digital advertising and retail. Whilst games is by far the leader in mobile commerce, other complimentary industries have recognised that mobile games and the App Store have changed the ways consumers interact with businesses – and changed the ways companies measure, exploit and monetise those interactions. 2. Art galleries and museums. In my work as a trustee to the British Museum and the Tate Galleries, I see the fundamental change in the way public institutions plan and deliver exhibitions. On the Tate digital committee we drive a mobile-centric solution to take gallery visitors through our "exhibition loop" and to use their learned behaviour from the App Store to support ticketing, commercial sales, information delivery, food sales, tracking, feedback and data capture. It is my view that all of this approach has its foundations in the success of the App Store to fundamentally change consumer behaviour (and expectations). I think the change is irreversible. The games industry has led the way in educating other industries (and charities) and changing the way they deliver services, engage with users (customers), monetise that use and track the data generated from the activity. It's hard to think of a bigger innovation in mobile gaming than the App Store. I started my career exactly when the App Store launched and only heard rumblings of the frustration caused by carrier distribution, carrier billing and embed deals. In each case the bigger, more established publishers always won and the developer was left needing to partner in order to succeed. The App Store removed distribution and billing as an issue for game developers. 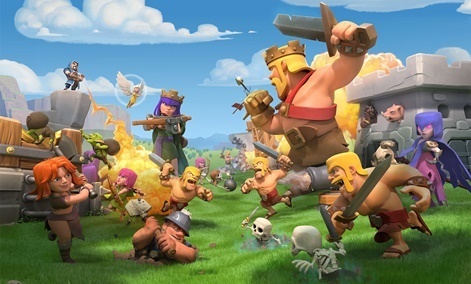 First came a wave of huge indie games such as iShoot or Doodle Jump that resulted in massive reach and then mobile first development studios such as Supercell were founded and sold for billions of dollars. It helped developers living in any country in the world reach an international audience and it streamlined and enabled the proliferation of free-to-play as not only a viable business model but the dominating one. In short it created an entirely new ecosystem that has formed some of the biggest game studios on the planet. I find some irony in celebrating the first 10 years of the App Store, when Apple itself decided to erase those 10 years from its shelves. Let me start by saying I agree with the positives noted by the fellow Mavens. Our studio does owe its existence in large part to the App Store. That being said, I find some irony in celebrating the first 10 years of the App Store, when Apple itself decided to erase those 10 years from its shelves. What’s different these days? We’ve learned that Apple holds no value in backward compatibility, and as a consumer any app you purchase can vanish from your device subject to retroactive requirement changes. As an app developer, the App Store has in 10 years become a place where you should only develop services to be continuously monetised, and as a customer you can only rely on those services to exist for as long as they are profitable. The future history of the App Store looks very ephemeral. One of the biggest things about the App Store for me has been the amount of new players it has created. Facebook started the trend with the likes of City/Farmville, but the AppStore has taken it to another level. Seeing the likes of my mum download and playing games is great and it has opened her eyes to the benefits of gaming. Also, yes discoverability is hard, but when I first got into the industry 18 years ago, the only way to get your game seen by potential players was to go on vast roadshows, demoing to the likes of Electronics Boutique in the hope that they select it to go on a shelf. Now, you can pay $99 a year and upload a game to the App Store. You have a chance, unlike the old retail days when if your game wasn't selected, you didn't have any other choices (this applies to the digital PC stores too of course!). I know we discuss app discovebility these days as a challenge, but before the App Store distribution was simply a nightmare. We had to convince telecom operators to pick our game (and they had no clue what they were doing) and then typically had to offer the game through an aggregrator who would take an extra 50 per cent of the share after the operator cut, leaving the dev with 25 per cent of the proceeds. The App Store simplified distribution and put the consumer in the driver seat, not a content curator, and we saw that it's very difficult to predict what consumers pick. I hope that the app stores don't fall into the same trap of trying to over curate content as they try to fight the inflow of so many new apps varying in quality (clones etcetera). 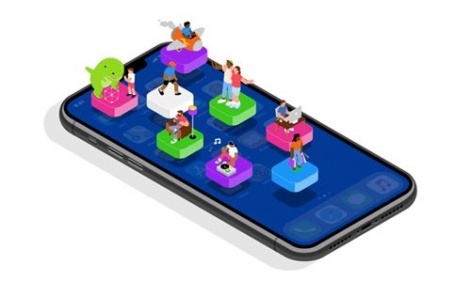 As the app stores matured and in-app purchases were added, so new business models emerged that are now changing the game industry as a whole. I wrote about this a couple years ago on LinkedIn, but the iOS App Store democratised software development in a way no other platform ever has. It has arguably had a comparable impact to the tech landscape as Facebook has to the social one – which is saying a lot. It currently serves 500 million weekly visitors and as of this week will have earned developers over $100 billion. 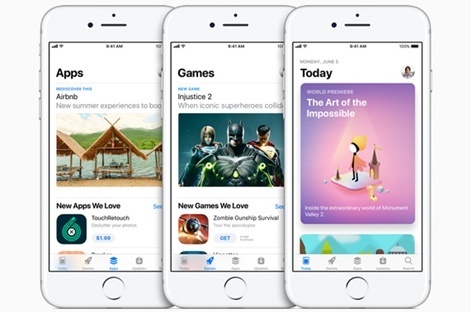 In terms of games, it also put democratisation at the core of its product vision, as when two years ago, Apple saw there were almost two million apps on the App Store with a mature market and limited discoverability, they pivoted to a new rev share model with subscriptions that not only allowed indie developers better revenue terms, but also pushed a new business model on a lot of apps that were not traditionally relying on it. Fast-forward to now and a lot of top games either have toyed with employing some type of subscription as part of their revenue model. In addition, Apple’s ability to prioritise innovation before app store revenue has allowed them to continually push the envelope and feature games that truly shine. In terms of how Apple can continue to push the envelope, I think they need to continue to prioritise innovation before App Store revenue, allowing the best games to get regularly featured. User acquisition has become a big barrier in the gaming space, and to the extent Apple can use the App Store to balance that out, it could be an interesting future. I wonder if Apple will have the inclination one day to decry its free-to-play advertising-led model and focus on premium titles and great software development again. Yep that’s right, in the last decade the market share of App Store games developers, publishers and their investors has dropped to one quarter of what it used to be. At this rate, by 2028 their share will have dropped to just 3.5 per cent of customer spend. Meanwhile 62 per cent of all the money spent on our apps now goes to Apple, Google and Facebook, all three companies from the same area of California and happily tax dodging their way around the world, with zero regard for the damage they are causing. Currently we are the surfs and they are the barons of the online manor. Apple is an older company than the other two, its history is one of great hardware design and an ongoing battle with Microsoft to rule that world. I wonder if Apple will have the inclination one day to decry its free-to-play advertising-led model and focus on premium titles and great software development again. It's one way they can get an edge on Google and Facebook by cutting their ad revenues from games and wooing developers back to their platform at once. Then again the market in Europe is already 80 per cent Android so iOS could become totally irrelevant soon, sadly. Happy Birthday App Store! Wow, has it really been 10 years? Seems like yesterday we were testing builds on my son's first-gen iPod touch and throwing parties after two to four week long app reviews. You've come a long way and are making the big bucks now. Congratulations and thank you for giving creators like us a shot at finding our audience. Our fans grew up on your platform and are now coming back to re-download their childhood. What an amazing thing! The App Store was a big breakthrough for internet technology. It cemented the idea that developers can create content and people can discover it in a central location which has been replicated successfully. Sure, there are lots of issues surrounding the Apple App Store being the only place a normal iPhone user can get apps, but it has allowed an entire growth of service sector companies to be founded. I do wish I could still play my original apps from iOs versions of yesteryear. The creation of the Apple App Store as the first definitive discovery and retail experience for mobile games can't be overlooked. But also we must remember the arguably greater impact of the iPhone - after all, this is a razors and razor-blade business model. I'm not sure that we can blame the creation of the App Store for what Facebook decides to charge for a CPA campaign. The iPhone was the device that created a new, standardised app format. It broke the fragmentation being driven by multiple handset vendors and multiple operators-driven distribution networks. It increased the possible filesize of games. It took games out of an operator WAP portal and put them on the homescreen. It introduced the concept of touch controls. Although there were operator-led experiments with game trials, episodic content and subscription games before the iPhone arrived, there is no doubt that Apple fundamentally changed the industry. Credit card billing through the App Store created a near-frictionless process for buying games, and more importantly, the Apple brand made apps and games cool and okay to play if you didn't call yourself a gamer. We could also argue that the App Store is what has heralded much of the mobile advertising ecosystem we see today. To Jon's point about the numbers from 2008 to today, publishers have the potential to earn huge amounts from games, but are driven to spend much of it on UA, which has created the market for ad tech vendors.